Orthomega® Liquid Fish Oil provides high-intensity omega-3 support with 1.3 g of EPA and 850 mg of DHA per serving. 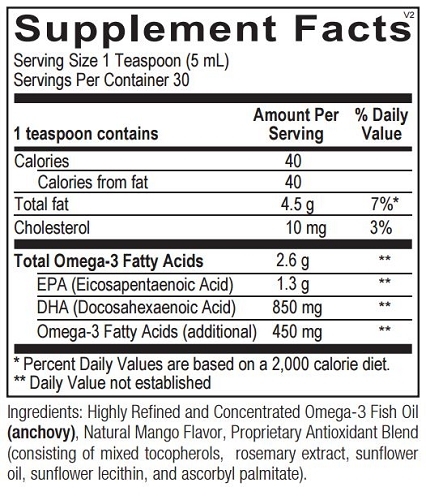 For those who want to significantly increase omega-3 levels, the natural mango-flavored liquid is the ideal alternative to encapsulated fish oil supplements. 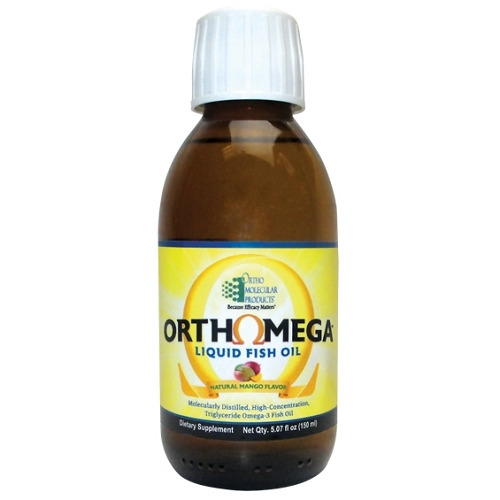 Orthomega® Liquid is a high-concentration fish oil, providing 1.3 g of EPA and 850 mg of DHA per serving. It is sourced from waters off the Chilean coast, the world's least industrialized coastline. These cold, fresh waters provide the cleanest, most sustainable source of fish in the world. Orthomega® Liquid includes EPA and DHA in natural, bioidentical triglyceride forms for enhanced absorption and better assimilation into the body. With over 10,000 published studies in the last three decades, EPA and DHA from fish oil are among the most researched natural ingredients available and have a long history of safety and efficacy.